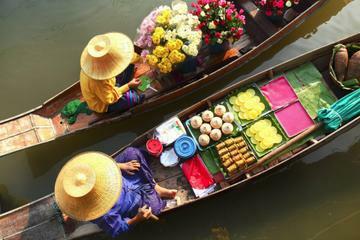 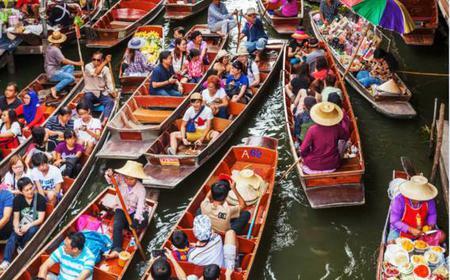 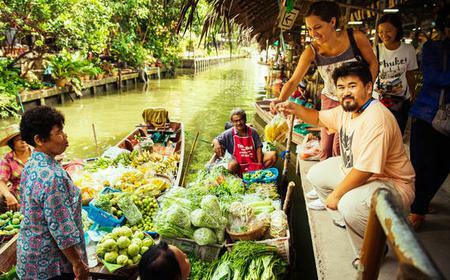 Floating markets showcase rural Thai riverside culture at its best, and a trip to Bangkok would be incomplete without an early morning tour to one. 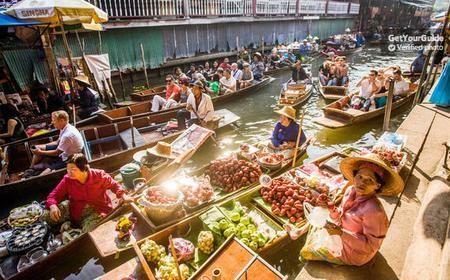 Floating markets showcase rural Thai riverside culture at its best, and a trip to Bangkok would be incomplete without an early morning tour to one. 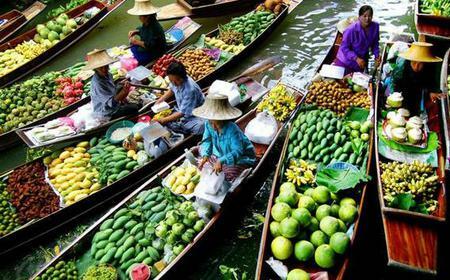 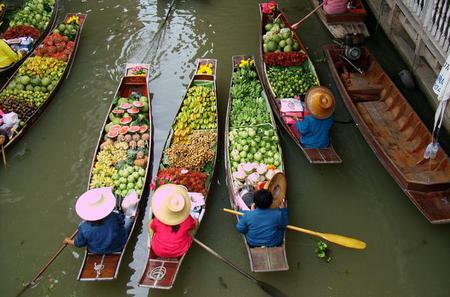 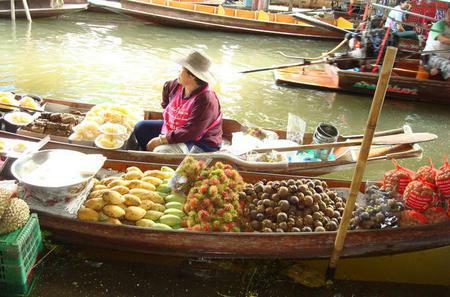 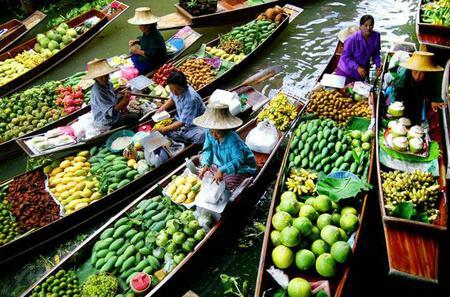 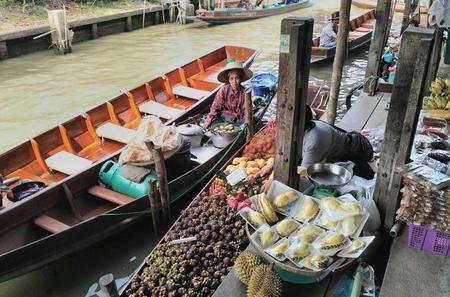 The Damnoen Saduak floating market is the biggest and most well known of all, where you can find long-tail canoes laden with fresh fruits and vegetables, food and souvenirs lined up and floating on the canal as locals and tourists haggle to get the best deals. 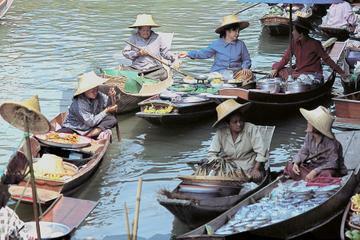 It is 110 km away from Bangkok, and closes latest by noon, so only early morning tours are available. 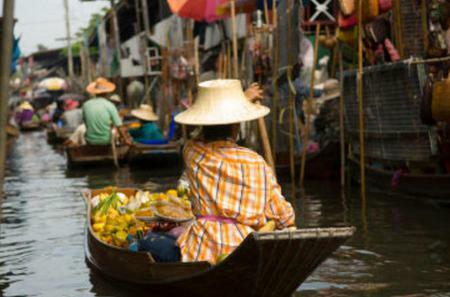 On your way, you will pass through refreshing paddy fields, marshes and salt flats which offer glimpses of the local way of life. 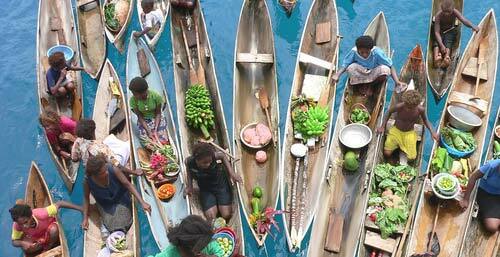 There are also floating markets at Taling Chan, Bang Ku Wiang, Tha Kha, and Amphawa which are lesser known.